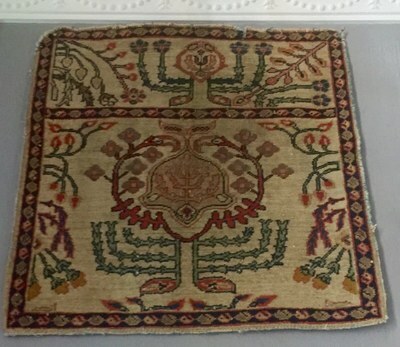 Part 1: Lots of people grow up with Persian carpets in the homes of their parents and grandparents and subconsciously feel that a "house becomes a home with Persian carpets". They are naturally drawn to this art and more than likely to buy Persian carpets for their own homes. In South Africa many people end up buying Persian carpets because of marketing strategies of carpet dealers and current decorating trends. Unlike many European countries there isn't a museum in South Africa showcasing historic Persian carpets that can influence the taste and level of understanding and education of the public regarding Persian carpets. To raise the level from owning a Persian carpet as a floor cover and enhancement of the interior of the house, to the level of collecting Persian carpets as a hobby and clever investment strategy, is a developing concept in of South Africa. In the USA and Europe collecting carpets has moved away from the traditional stigma that only the very wealthy collect Persian carpets, to the level that the top collectors are people who have passion for and knowledge of this ancient art. From architects, psychologists, lawyers and engineers to primary school teachers are among the top collectors of antique Persian carpets today. Collecting Persian carpets successfully, more than money and knowledge and passion, requires a lifestyle that, according to the RUGDEALER, can easily be achieved with high rewards in the current South African environment. One of the surreal concepts of Earth and the human conscious is the concept of time. Many people have created incredible wealth from buying and using other people’s time. An antique Persian carpet is the captured “millions of moments” of a weaver connected to his culture, geography, history, time and space of a hundred or few hundred years ago. By collecting Persian carpets you are in actual fact collecting moments woven in time that can never be repeated and the first step of collecting Persian carpets is to fully understand this concept. By investing in that antique carpet a part of you as a human being on Earth becomes activated through that carpet and all the moments captured into it and that is hard to achieve through anything else. In this context collecting Persian carpets helps the collector to find himself in space and time and this result is priceless.